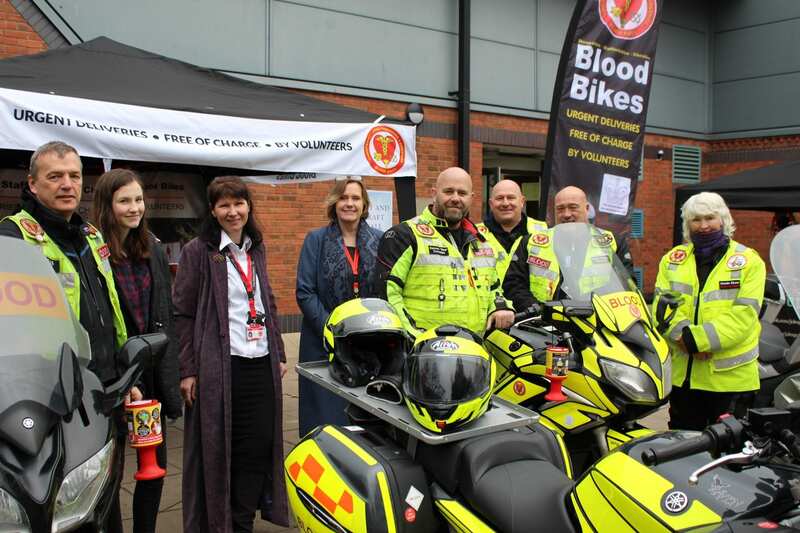 Concord’s busiest-ever Christmas Gift and Food Fayre has resulted in £1,500 being raised for the Shropshire, Staffordshire and Cheshire Blood Bikes. This year marked the seventh annual Christmas Fayre and it attracted an attendance of 1,800 people, in addition to the college’s own 600 students and members of staff with their families. Fees from 58 stallholders, plus a charity lucky dip, supported the Blood Bikes who had their own stand. They had a team of volunteers in attendance and children were able to sit on the four bikes for photos to be taken. Entertainment was provided by Corvedale Primary School choir, as well as Concord students playing a variety of instruments for over an hour in the Main Hall. Organiser, Mrs Emily Purvis, who said it was ‘the busiest of the college’s seven Christmas Fayres’, confirmed that she had already taken 12 stallholder bookings for next year’s event – all within 48 hours of the fayre finishing. Said Chris Hyde, Biker and Fundraiser: “It was a pleasure to be part of Concord’s Christmas Fayre and we appreciate their support for Shropshire Staffordshire Cheshire Blood Bikes. “We spoke to many visitors and students who were interested in the service our volunteers provide the NHS and its patients. They were also very generous both with their praise and cash in our collection cans. “The presence of our bikes proved to be a significant draw to the younger visitors, most of whom were not shy in taking the opportunity to climb aboard. “We also had a number of people who were so interested that they left us seriously considering joining the team, which is always good news as the demand for our service continues to rise. “The tremendous donation from Concord College to our charity will help ensure we continue to offer this vital service.” View the Christmas Fayre photo gallery by clicking here.